The foiling boat that kickstarted Sir Ben Ainslie’s America’s Cup challenge is to be immortalised at the Classic Boat Museum in Cowes. T1 has a colourful history, having raced in the America’s Cup World Series, broken the Round the Island race record in 2013 and welcomed the Duchess of Cambridge on board in 2016. But with the America’s Cup format moving to foiling monohulls, Land Rover BAR has decided to donate the 13.7 catamaran, as well as one of the hulls from its second test boat T2, and have them both preserved for posterity. He added that Cowes is the ideal location for T1’s final resting place as the America’s Cup began there in 1851 and the Royal Yacht Squadron is the Challenging Club of Land Rover BAR. This second life for T1 is part of Land Rover BAR’s sustainability programme, which also involves a carbon fibre recycling scheme with British firm ELG Carbon Fibre. 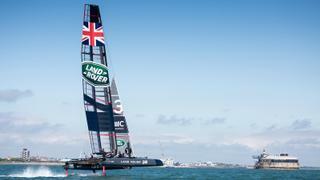 This will see the team’s test boats T3 and T4 turned into materials for the next America’s Cup campaign. The Classic Boat Museum is due to open in April and will feature more than 50 yachts and motor boats reflecting the local area’s boatbuilding heritage. Reflecting on the partnership with Land Rover BAR, museum director Mark McNeill said: “We are so thrilled that T1 will be part of our museum in West Cowes. We will cherish her forever."